Eager for some Holland vibes? 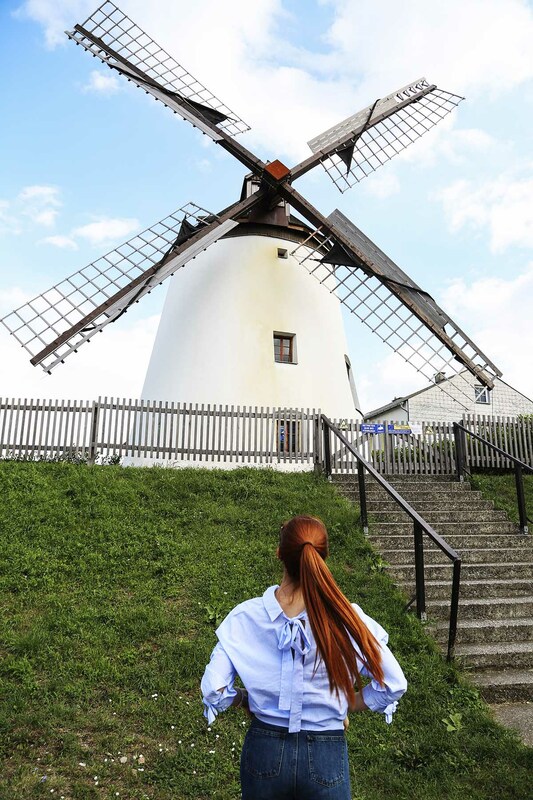 Well today we are revealing you where to find one and only windmill in Austria! 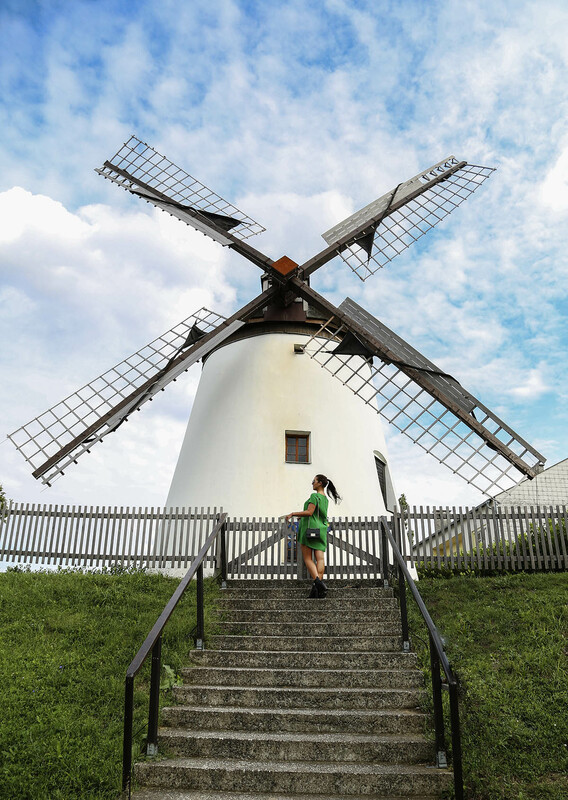 Ok, if you Google it, it seems like there is one more in the north of the country… But based on what is written on the website the well known Windmühle in small village Podersdorf, located on the shores of the Neusiedel Lake, this one is the only completely restored windmill in entire Austria. And it is also open for public. Now the windmill you see here is around 160 years old! For already 60 years, this beauty is preserved as the countries monument, but it is privately owned by the family Lentsch. 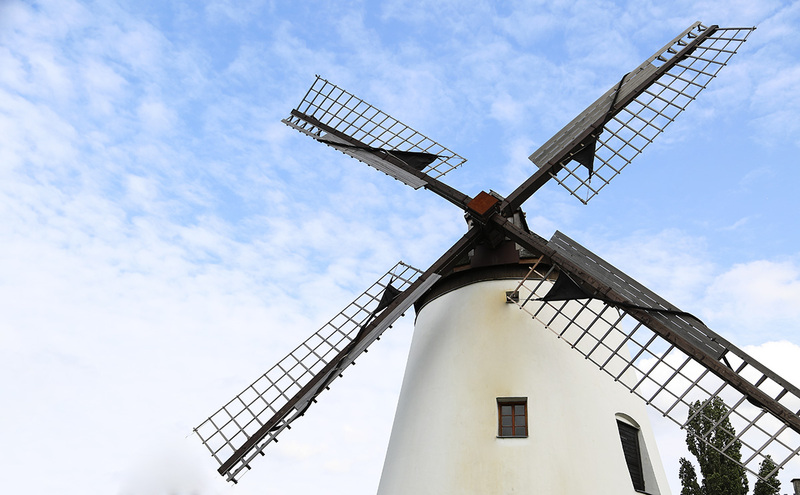 You can read all about the history and windmill in general, on its webpage here. I went there with my dearest Alex. You have seen Alex many times on the blog and our IG, she one of mine and Isidora’s dearest friends. <3 And a girl boss too! 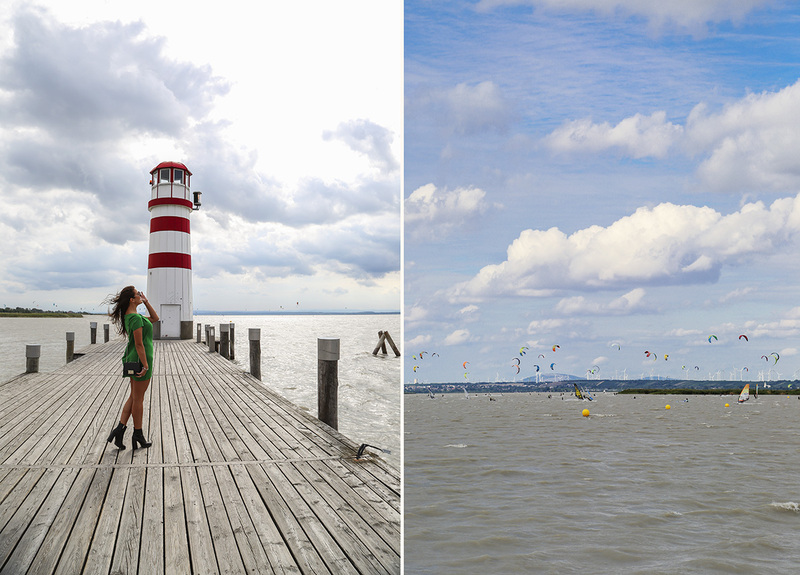 We had a small day trip that started with a delicious late breakfast, then we drove to Podersdorf and took some pictures at the lighthouse, and then some at the windmill. At sunset time we stopped by Mole West. 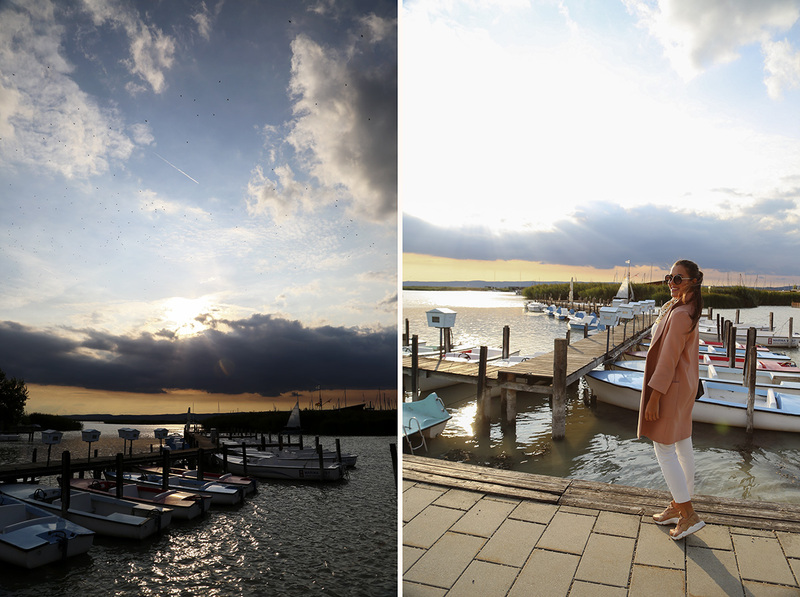 We wanted to have some dinner, but everything was fully booked… So we just took some ice-cream and pictures and drove back to Vienna where we had dinner. Hope that this post inspired you for a nice day trip that you can take! 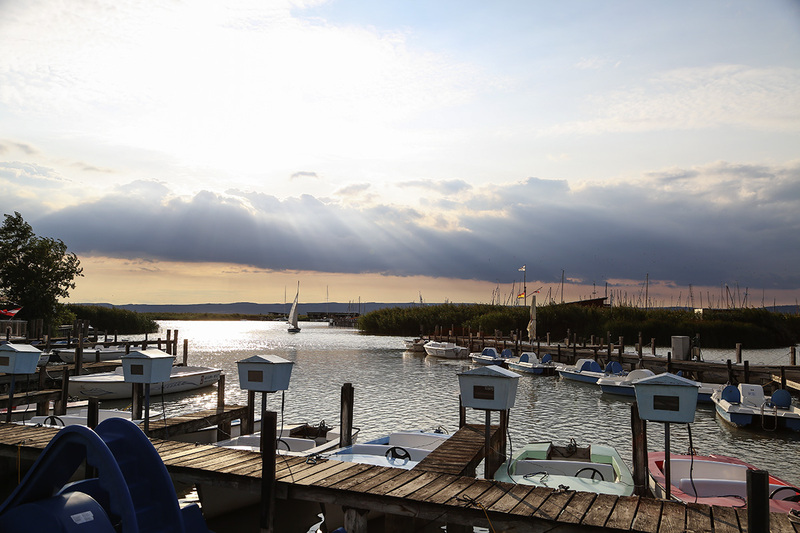 It is just 45minutes away from Vienna by car, so it is perfect for a short getaway. 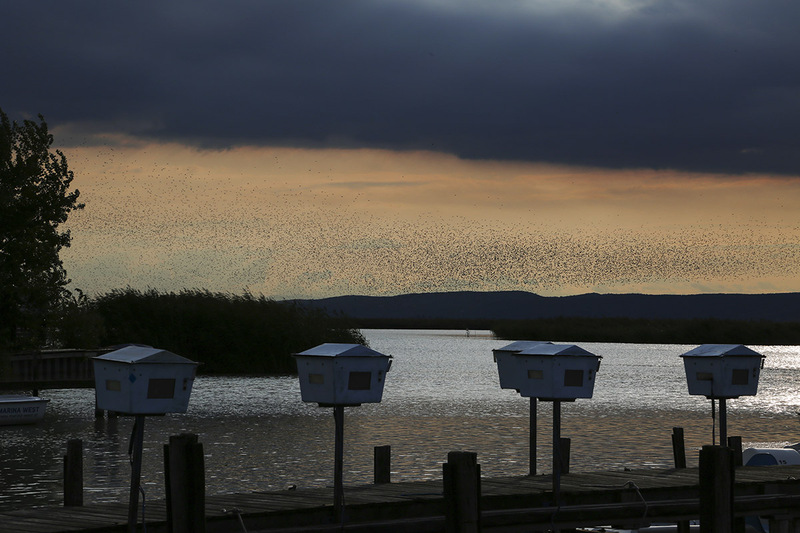 At Neusiedel Lake we saw this incredible flock of birds! I still can’t get over not being on a better spot and taking hundreds of pictures of this scene!